Indicate color of the ribbon here. Please provide us with 1st option and 2nd option. 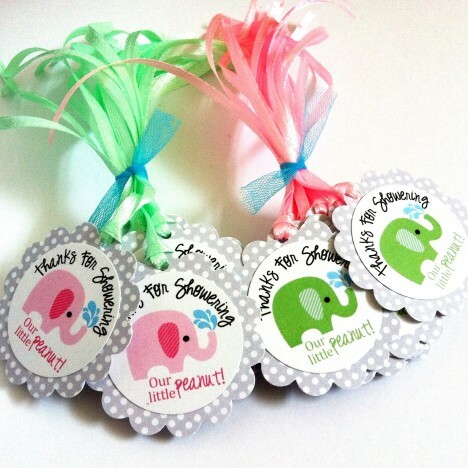 How sweet are these green elephant favor tags? Have you ever wanted to plan a special baby shower for yourself or your special one? To welcome a little special baby, a celebration is a must. It’s a milestone that you will cherish forever. 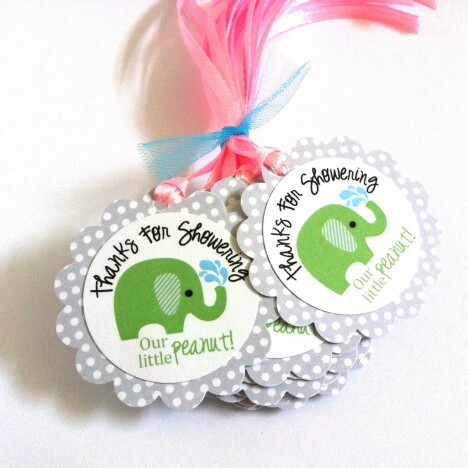 This is a listing for a set of 12 (twelve) Thanks for Showering our little peanut green Elephant Favor Tags. The design is whimsical and perfect for a gender neutral baby shower party. They makes an eye-popping presentation. What a fun and playful way to say thank you to your guests who come to your Elephant themed party. 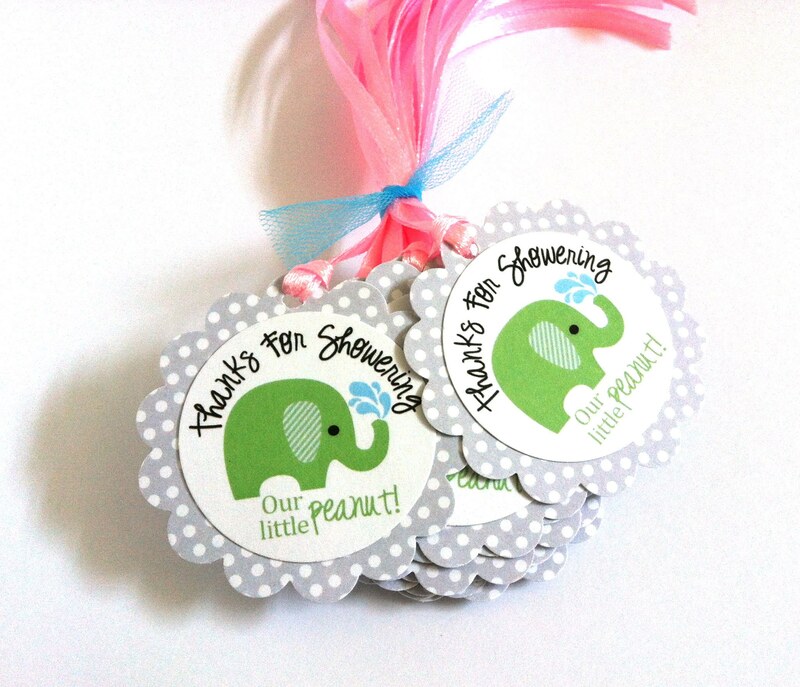 Each tag has a cute image of a green elephant, with just the right phrase: “Thanks for showering our little peanut!”. The grey and white polka dot pattern used as the background is truly charming. 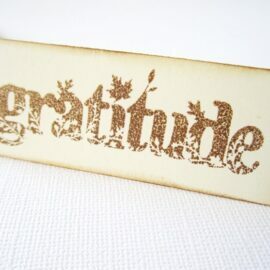 These tags will adorn your favors beautifully. 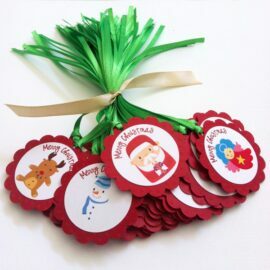 Each tag measures about 2 inch in diameter, pre-strung with ribbon. The scallop border is certainly delightful. Shown as in the picture are tags with pink ribbon. Should you want different color of ribbon, please let us know. 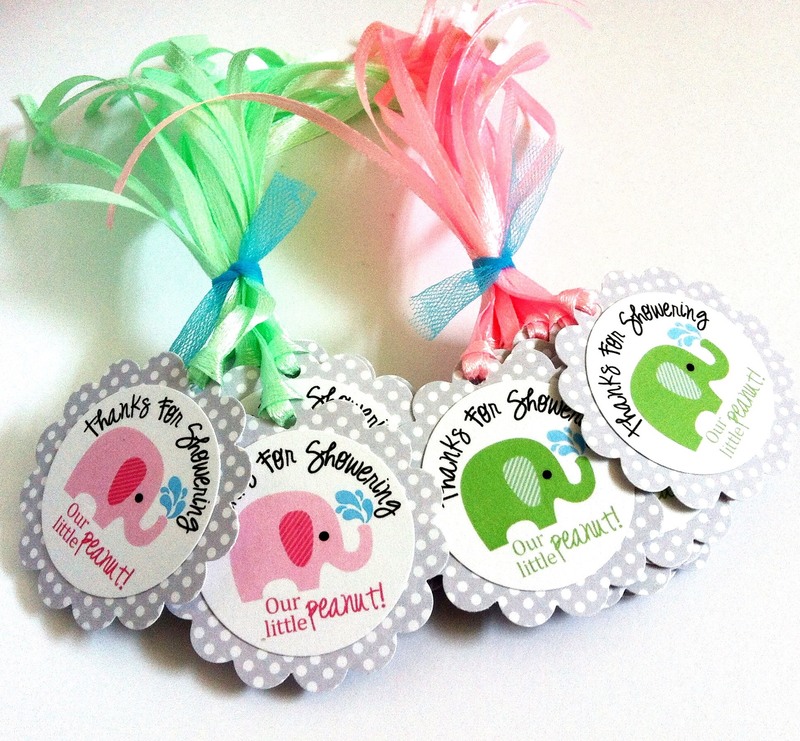 Are you looking for party decorations that compliment these Green Elephant Favor Tags? Please visit our Facebook for more pictures on Elephant party decoration. If you have something in mind that you do not see it here, please contact us. We welcome custom orders.